Encouraging news on a new wildfire burning about seven miles west of Plains. The 50-acre Weeksville Fire was started by a trailer-house fire that quickly spread into the surrounding forest Friday afternoon. Incident spokesman John Hamilton tells Montana Public Radio the 75 firefighters on scene are in mop-up phase, dousing hot spots. Three helicopters, two dozers and several engines are also working the fire. The trailer house where the fire originated and one small out-building are the only structures that burned yesterday. Several other directly-threatened structures were successfully protected by firefighters. The Weeksville Fire is being managed by a local Type 3 Incident Management Team. Although within the Plains-Thompson Falls RD's protection area, all lands currently involved are private. It's burning in very rocky, timbered ground bordered by Highway 200 to the south and a powerline corridor to the north. Initial attack on the fire with personnel, aircraft and engines helped halt the fire's progress by early evening yesterday. Although no additional structures are directly threatened at this time, there are several around the perimeter, and managers will be keeping a close eye on fire behavior in those areas. Hamilton says that by mid-afternoon, temperatures had climbed above 100-degrees, but winds were quieter than expected. 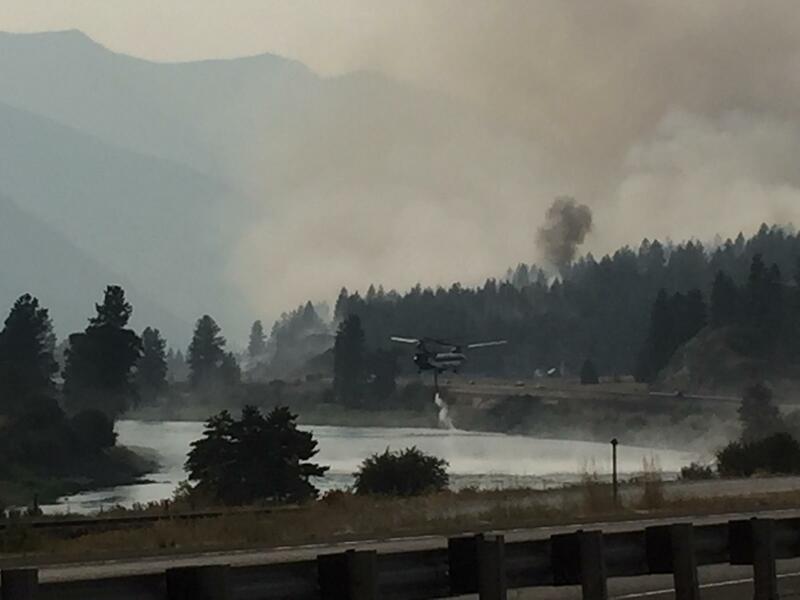 Little significant growth was reported Saturday on most other Montana wildfires. Temperatures continue to be hot and wind speeds are still forecast to pick up this evening as a dry cold front moves through the region.